There is no doubt Poland has produced some of the world’s toughest and bravest mountaineers, none more so than the great Krzysztof Wielicki, who as well as having a first name that would score highly in a game of Scrabble, made the first ever winter ascent of Everest in 1980. 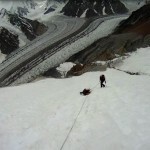 Earlier this year he led a team of his fellow countrymen to attempt the first winter ascent of another 8000m peak, Broad Peak in Pakistan, and he makes a telling statement at the beginning of a documentary about the climb, which has recently been published on Vimeo with English subtitles. You may be able to guess the outcome from this, and if you don’t know what happened then this blog post contains spoilers, but I urge you to watch the film anyway if you have 26 minutes to spare, because although it’s unlikely to win any awards for its production values, the storyline and candour of the participants more than make up for this. 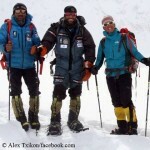 On 5 March four members of the team, Maciej Berbeka, Adam Bielecki, Tomasz Kowalski and Artur Malek, successfully completed the first winter ascent of Broad Peak, but two of them, Berbeka and Kowalski, did not return. The film makes no judgements about what happened and why, but it’s likely many of the people who watch it will. Did their two team mates abandon them, or were they themselves to blame for not turning round before they became too exhausted to descend? IMHO, it would be extremely harsh to lay any blame on the survivors. From my own experience of treading that fine line between life and death on top of the world, one which was considerably less tenuous and intrepid than theirs, I know that looking after themselves would have been hard enough and their first priority. While staying behind for their companions may have been heroic, had they done so then the chances are there would be four bodies still up there, not two. It’s possible one of the climbers, Maciej Berbeka, may have lost his life for this very reason. While most of us are not willing to accept the risks these four climbers took, we should respect their motivations, which are best summarised by Berbeka’s son, who speaks them in solace rather than triumph. This is a beautiful tribute to the men who lost their lives achieving their dream, and one of the most moving and gripping short films I’ve seen in a while. 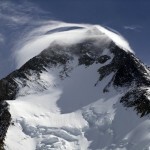 ← Do we really need more 8000m peaks? Thank you for sharing – it was a beautiful, touching movie. Surely an expedition can never be classed as ‘successful’ if someone has perished, regardless of the circumstances. Berbeka’s son’s comment reflects his father’s achievement because he’d not want to think that his death was in vain. 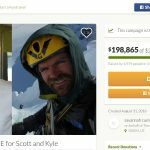 The reality is that these climbers had families loved them – and will miss them long after any glory from the achievement has faded. Are Mallory and Irvine’s family still grieving, or has the glory of their achievement outlived them? Hi Mark, as Mallory and Irvine died almost 90 years ago it’s fair to say that none of their current descendants would have known them personally and hence, would have no emotional attachment to them. I believe that our fascination with Mallory and Irvine stems from the enigma their attempt created, rather than the ‘glory’ of their achievement. Everyone loves a good story!